Thai immigration police at Don Mueang International Airport arrested two Israelis after they were suspected to crash their car into a motorcycle and stab to death an Israeli man and injuring his girlfriend on Ko Samui, Surat Thani on Sunday (Jan 21). 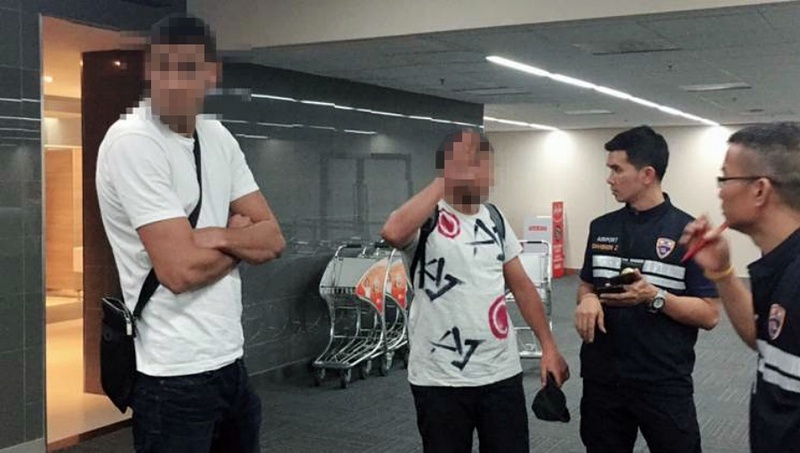 Immigration Bureau commissioner Pol Lt Gen Suttipong Wongpin said the two Israelis were apprehended at Don Mueang airport shortly after both arrived on a local flight from Surat Thani at 9.30pm on Sunday. They were identified as Dolev Zuarez, 24, and Eyal Bokal, 26. The commissioner said both were suspected to be the persons who crashed their car into a foreign tourist couple riding in a motorcycle and then stabbed the man to death and injured his girlfriend. The dead man was later identified as Maor Malul, a 33-year-old Israeli, while the injured woman is Rashel Oshana. Police said the Mr Zuarez and Mr Bokal have air tickets to fly back t Israel tomorrow (Jan 23). However, both would be flown to Ko Samui aboard a police plane to face the charges there. Pol Capt Sirichah Kamunee, of Bo Phut police station on Ko Samui said the two men would be charged with premeditated murder, attempted murder, and carrying weapon into public place. He suspected that they had been in a conflict before. Meanwhile, The Times of Israel reported that the dead man, Malul, was recently been released from prison in Israel. The Times quoted Israel-based Walla news site that Malul had been convicted and sentenced to 20 months for aggravated assault. He was recently released from jail. “He was suspected of having tried to murder a crime boss but secured a plea deal due to problems with witnesses,” according to the news report. Police believed that Malul belonged to the Zuaretz gang, which has been fighting another group for hegemony in the area of coastal Netanya. Malul’s brother Avi was shot to death at close range outside his home in 2015, according to the Times.